Out of Gardnerville, NV, with the Tahoe Moutains as his backdrop, Danny Sheehan owns and operates Ralston Snowskates, one of the leading snowskate brands in the world. Over the past ten years he has created a company and life that reflect his passion for our area and for boarding. The story Danny tells about balancing work, play, and relationships in Lake Tahoe is a story many locals can relate to. After leaving the east coast, Danny did what many board enthusiasts do: he chased the snow. He worked at Kirkwood in building maintenance during the winters and in the kitchen at Windells during the summers for free season passes. After a few years of this, Danny decided it was time put the ski bum life behind him and settle down. Still working for the resorts as a coach at Sierra at Tahoe, he began painting houses during the summers, which is where he was really making his money. Seeing the potential in the painting industry, Danny got his various ‘painting licenses’ and in 2004 started his first company. As his professional painting career was taking shape, Danny noticed snowskates begin to pop up at the resort. With his skating background, the idea of snowskates really appealed to Danny. 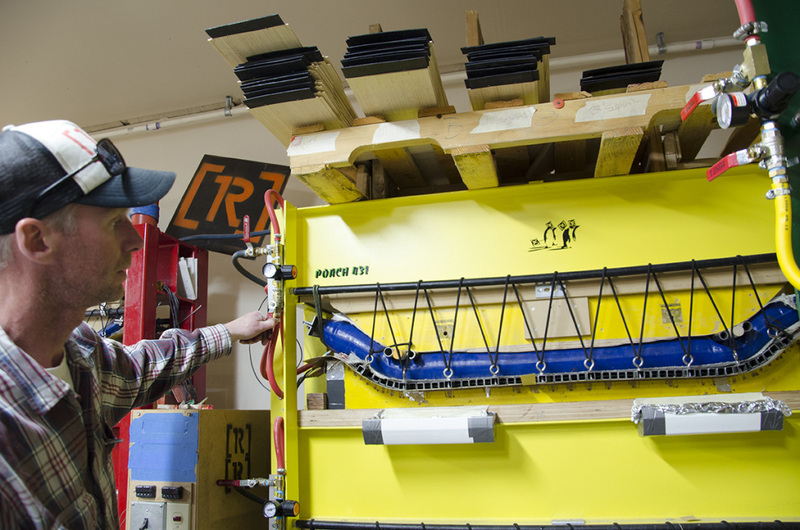 He gave it a shot and before long had a board of his own—and not long after that, he started building them. 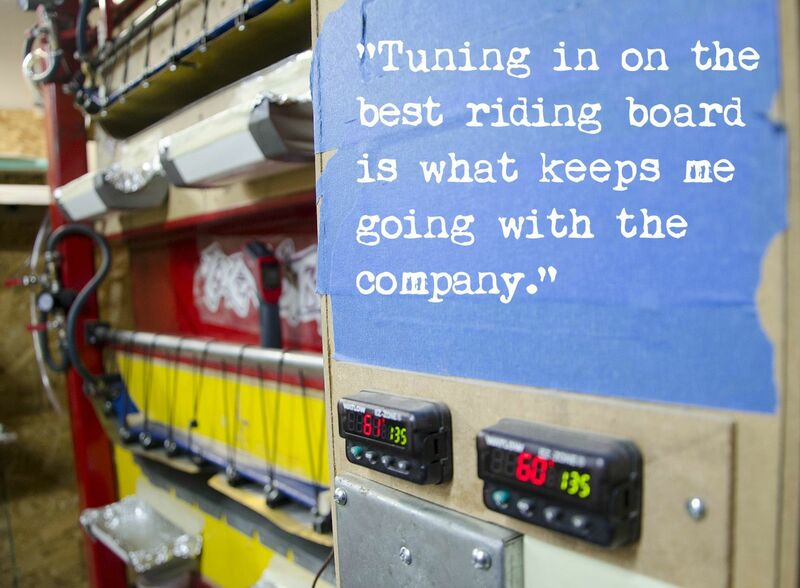 “The first board I ever really experimented with was for a friend. She was too small for any of the commercial decks so I went online looking for something that would suit her better.” He came across a snow blade set that looked like it would work perfectly. To his surprise, he found the thinner snow blade ski actually made better turns than the snowskate decks available at the time. From there Danny was inspired to start building his own decks in earnest, trying different shapes and dimensions and selling them to friends. 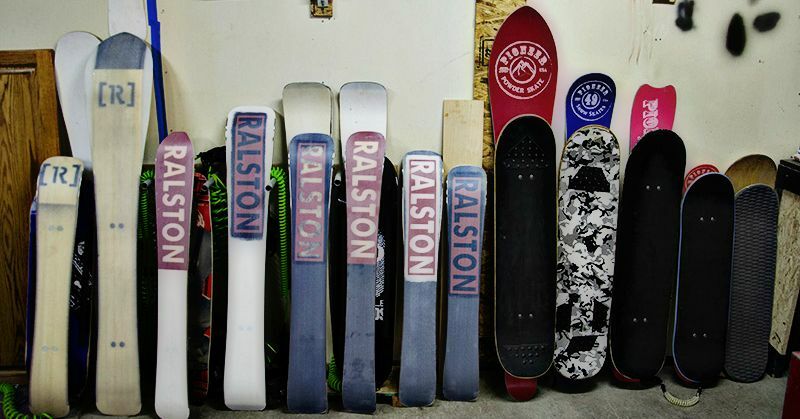 Named after the mountain just west of Tahoe where Danny owns property, Ralston Snowskates was born. Although the company was profiting, Danny’s want for a quality product and drive to progress the sport overcame his desire to just turn a dollar. 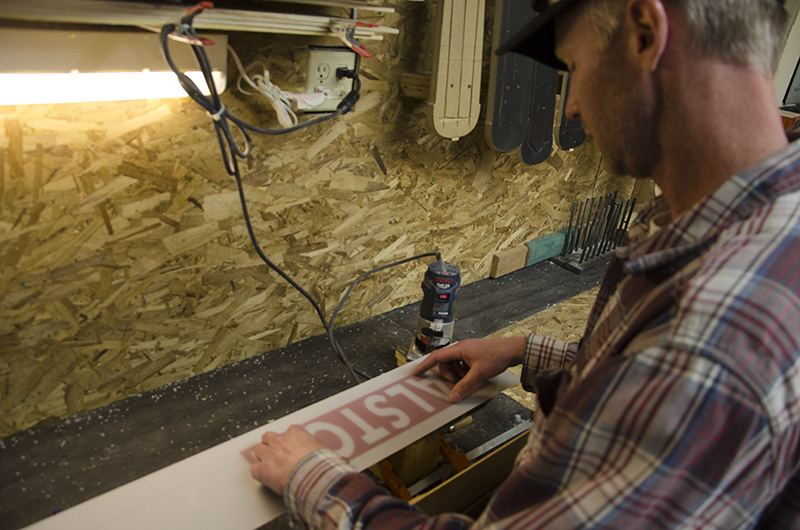 “I appreciate the ‘made by hand’ and ‘made in America’ type products too.” With that mentality, Danny eventually decided to just make the key tool in producing ski and snowboards: a press. Just like the majority of us, Danny doesn’t make a living from his passion. A majority of his income is from his painting business, which typically runs him a 40-hour week. It is his love for the sport that keeps Ralston Snowskates pushing on. These days Danny says he’s not worried about making more money from Ralston anyway. He wants to cut overhead and wasted time, and keep establishing the Ralston brand name. His main focus is more obviously on his daughter, who is now almost 5 years old. As a single, working father, he enjoys spending most of his free time with her. 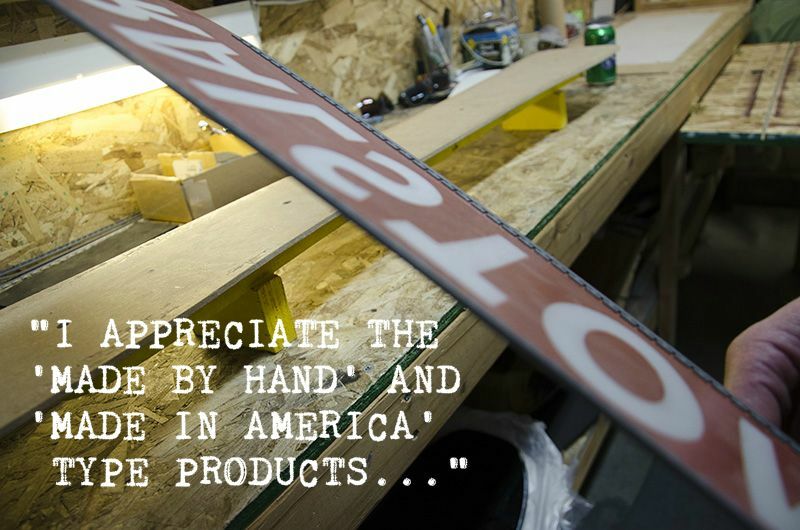 In fact, when he’s not talking about manufacturing the boards, our conversation often rounds back to his daughter. He explains with a glow how amazing it is teaching her things at her age, such as how to ride. Ski bum turned entrepreneur turned father, Danny Sheehan is living a great life. He’s been able to travel and start a business in an industry that he knows well and is committed to. He lives in one of the most beautiful places in the country. And most importantly, Danny has a beautiful little girl that he can teach, protect, and love. Cheers to Danny, Ralston Snowskates, and living the Tahoe Dream. Looks out for Danny’s powder board and the rest of his line up here -> Ralston Snow Shop<- Also check out this video of Ralston Snowskates. We need more snowskating out on the east coast.